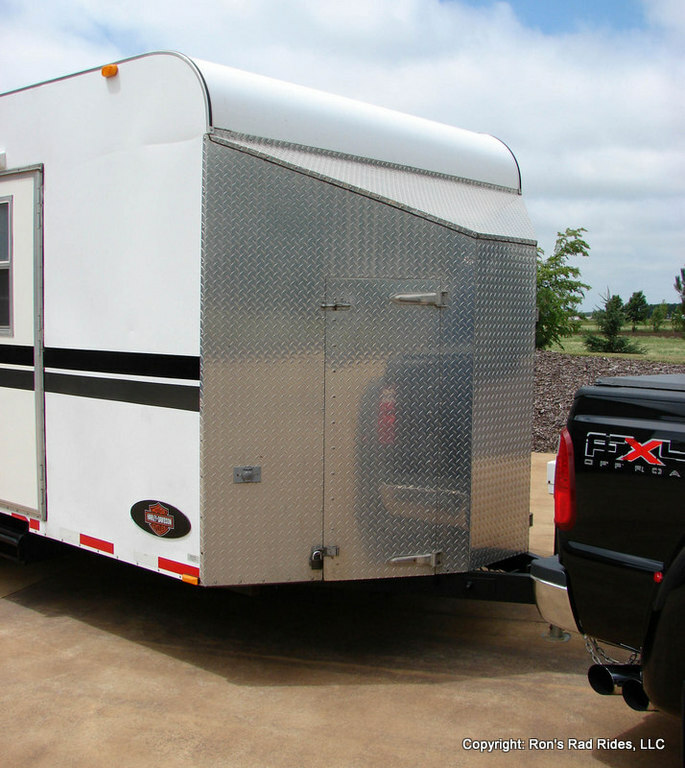 This is a Custom Trailer that a local gentleman had built to his specifications here in the Sioux Falls area. 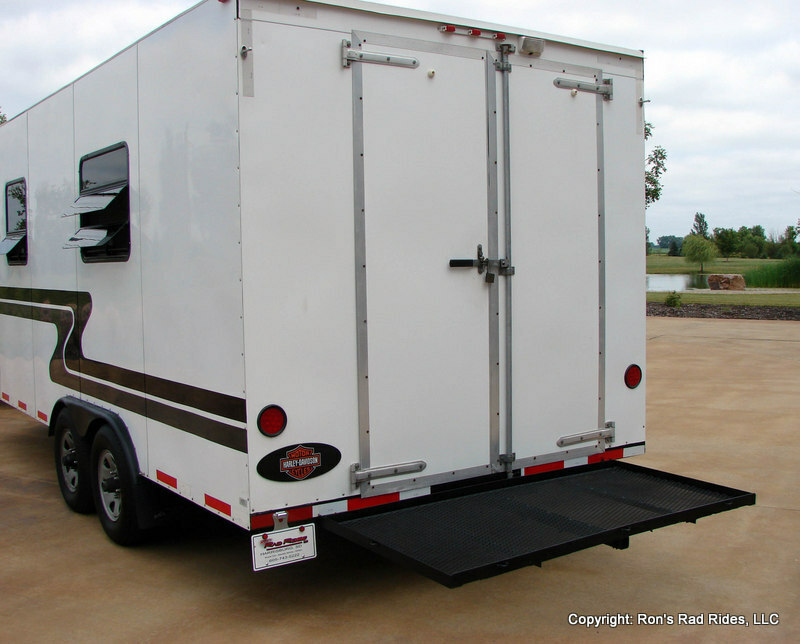 It is a VERY WELL built 8x18 Trailer that will last a long time. 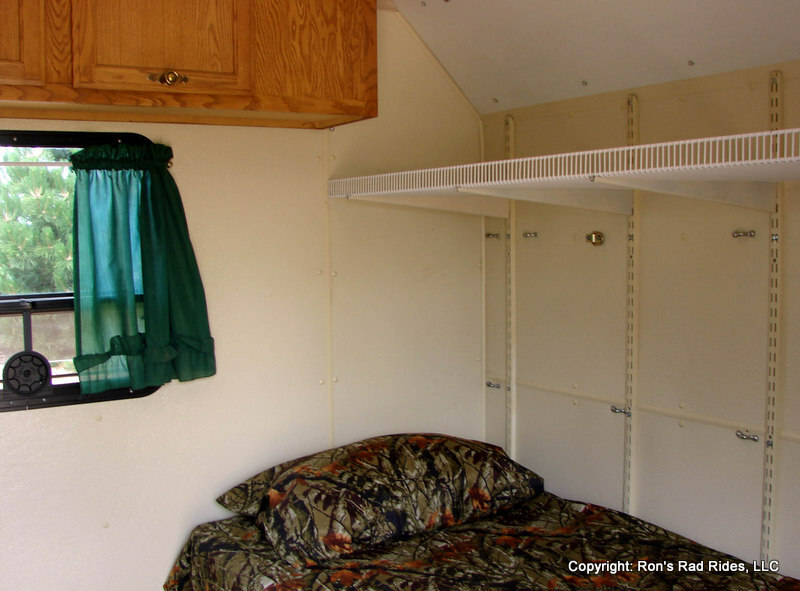 It is not an ultra fancy design, but more utilitarian in nature. 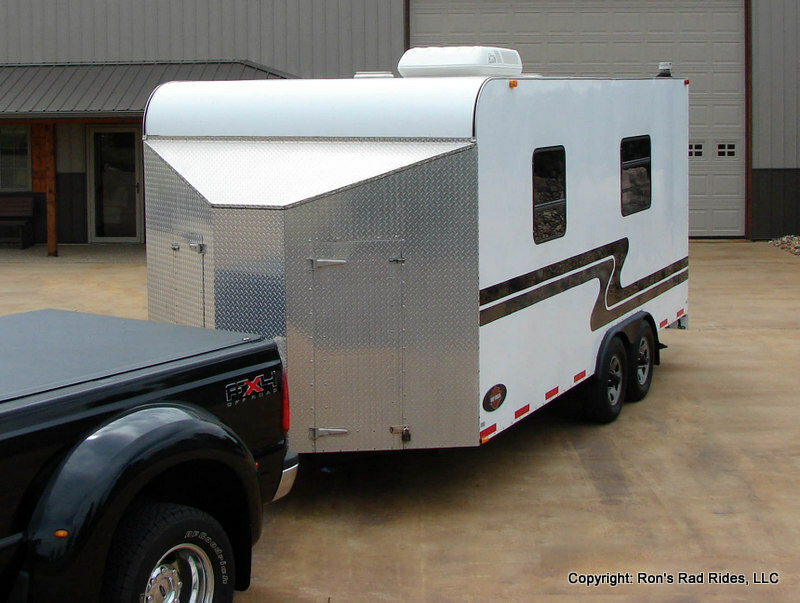 He wanted it to serve reliably for the times that he wanted to haul his 03 Harley Davidson Heritage Softail 100th Anniversary that he bought brand new, yet also be able to accommodate a quad, dirt bike, or other toy that he may have at the time. 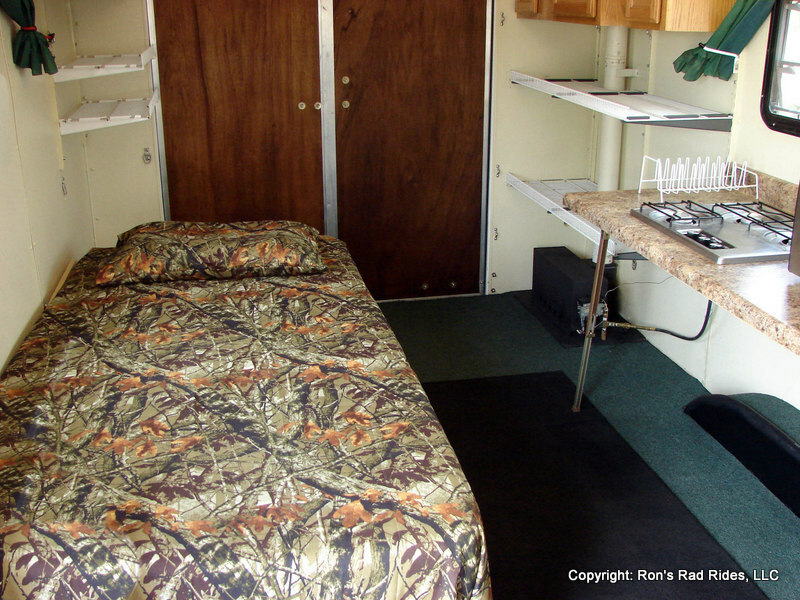 It has (2) "Fold-up" Beds, as well as a Propane Stove Top, that drops down. 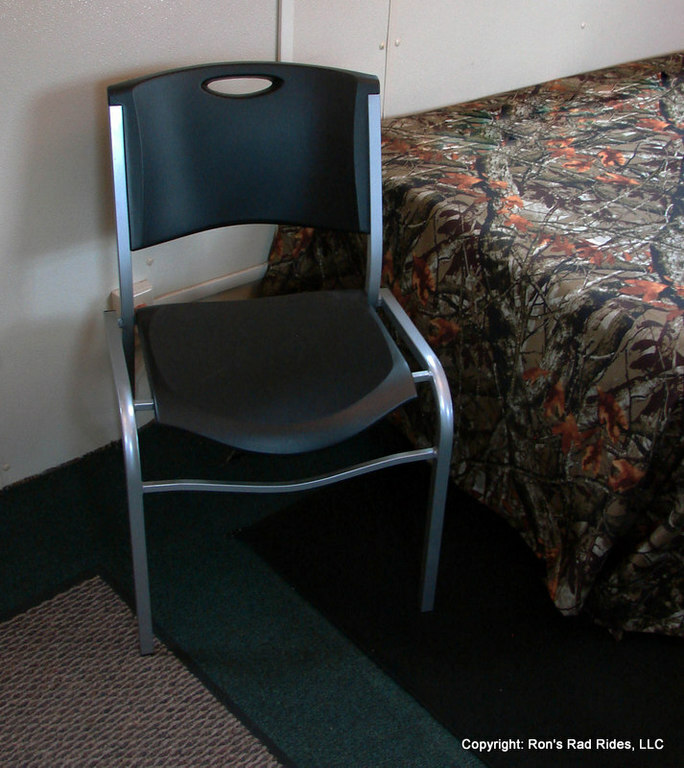 All three of these fold against the wall when you want to load your toy. 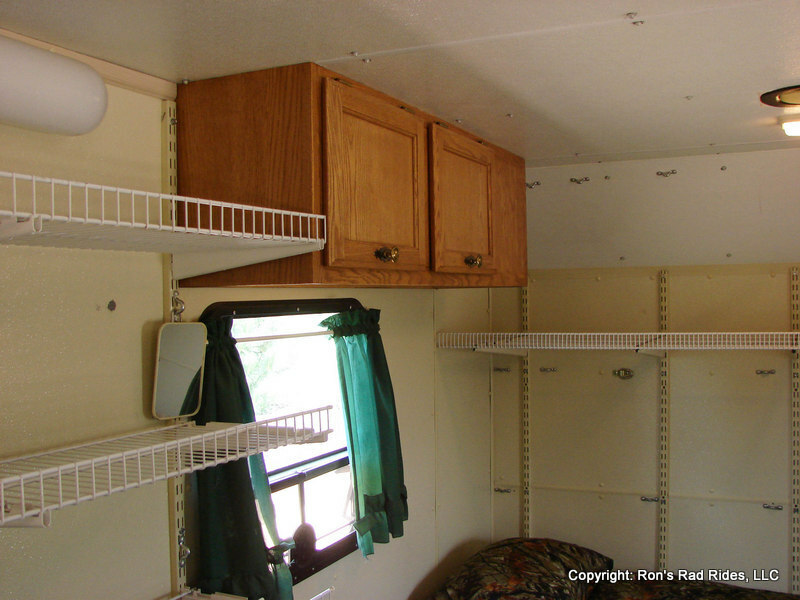 It has also considerable Cabinet Storage Space as well as lots of Removable / Adjustable Shelving that allows you to "custom adjust" the position of the Shelving wherever you desire. 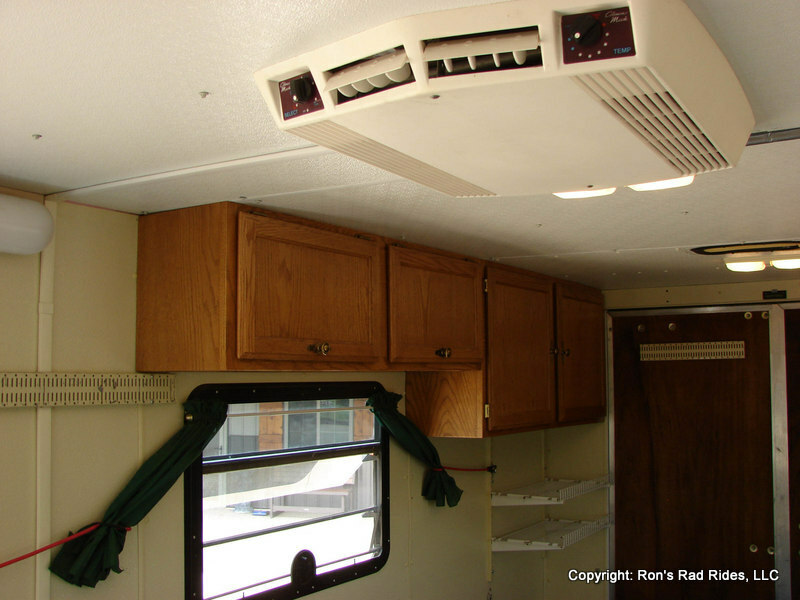 It has an Electric Coleman Mach Air Conditioning / Heater Roof Unit that will keep you nice and cool or toasty warm, depending on what "Mother Nature" decides to send your way for weather. 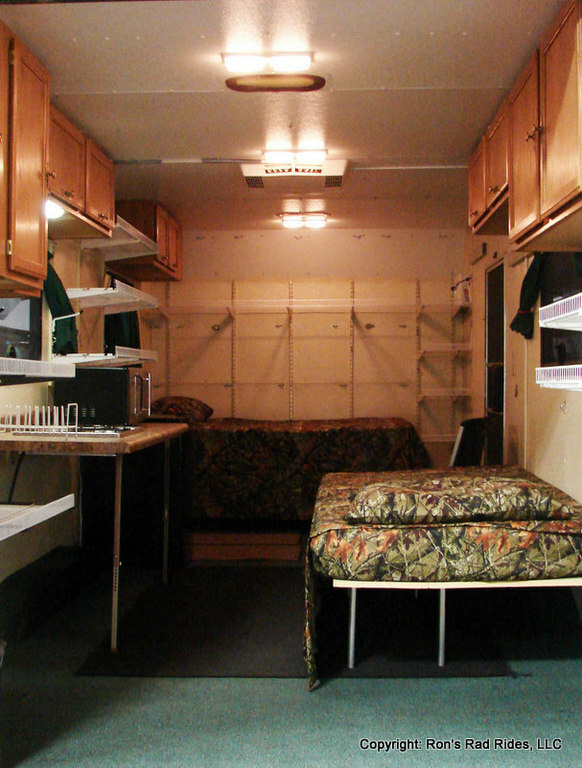 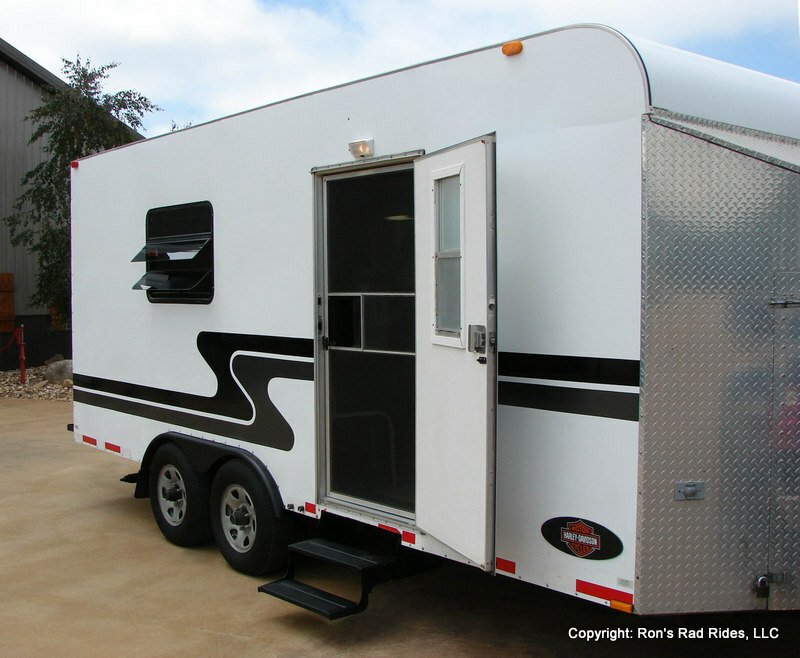 In addition, it has a Propane Heater, with its own external Roof Vent that has the ability to roast you out if it is REALLY cold and you need some serious heat inside the Trailer. 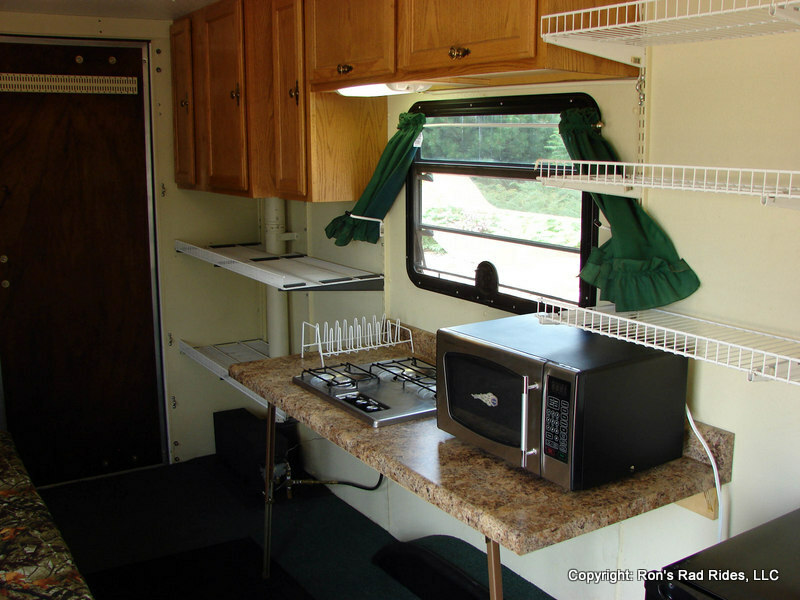 It also has a Refrigerator / Freezer Combo, a Microwave Oven, (2) Roof Vents, and (3) "Crank-Out" Opening Windows for great cross-through ventilation. 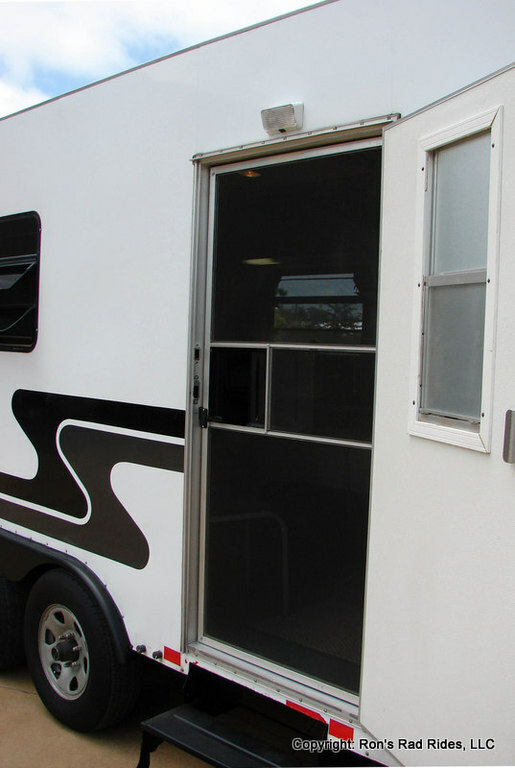 The Entry Door has a Separate Screen Door for additional air circulation as well. 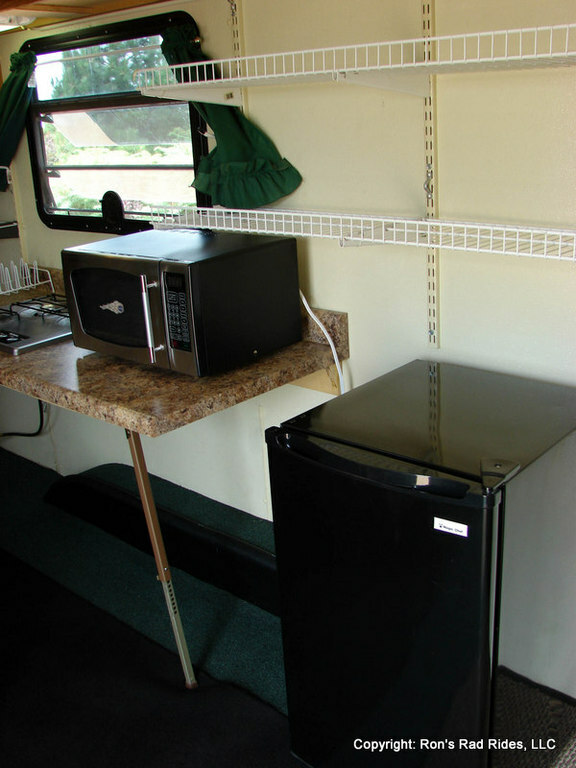 The front external Diamond Plate Area has (2) 100 Gallon Propane Tanks, one hooked up to the Stove Top and the Propane Heater, while the other one is a back-up if you should need more Propane if you are in an isolated area and don't want to refill the tank. 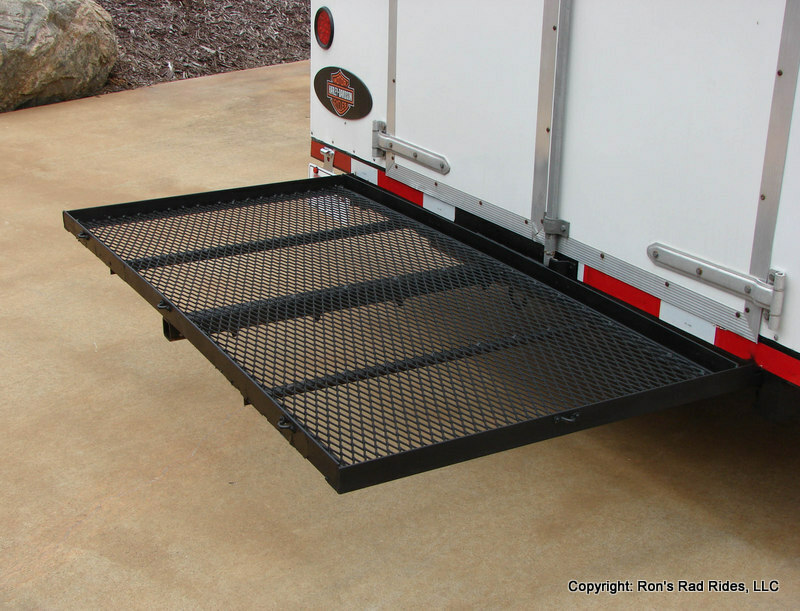 There is an extra Propane Port down by the Propane Heater, and (2) more Ports just to the left of the Folding Steps on the outside of the Trailer should you want to set up an outdoor grille. 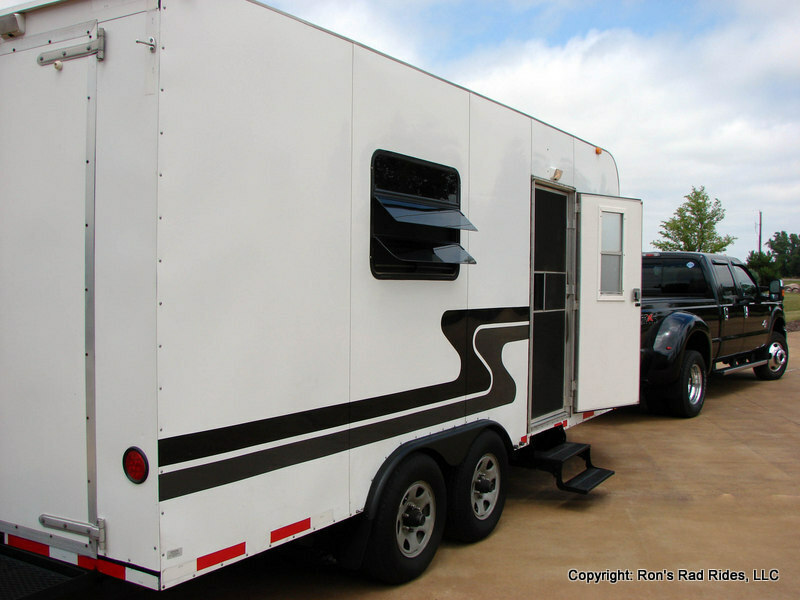 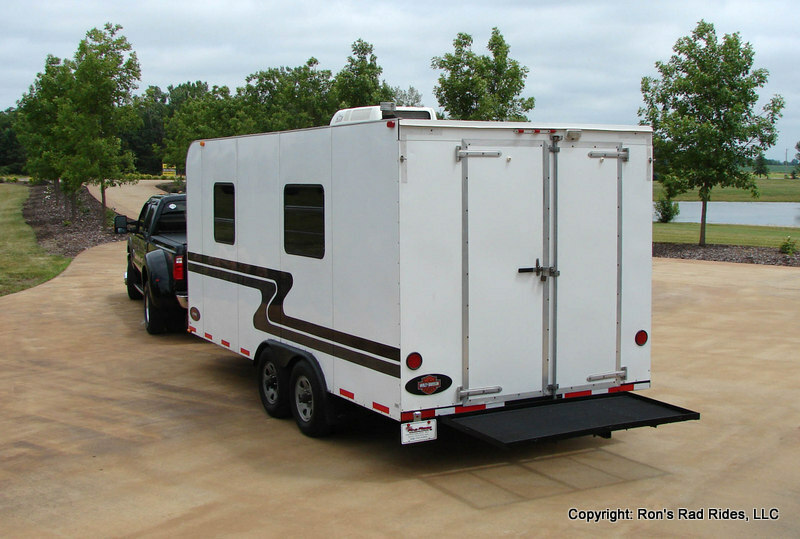 It has a 20 Amp 110 AC internally wired Circuit that serves the Coleman Mach Rooftop A/C - Heat Unit, as well as (2) Large Lights and a Wall Plug inside the Trailer. 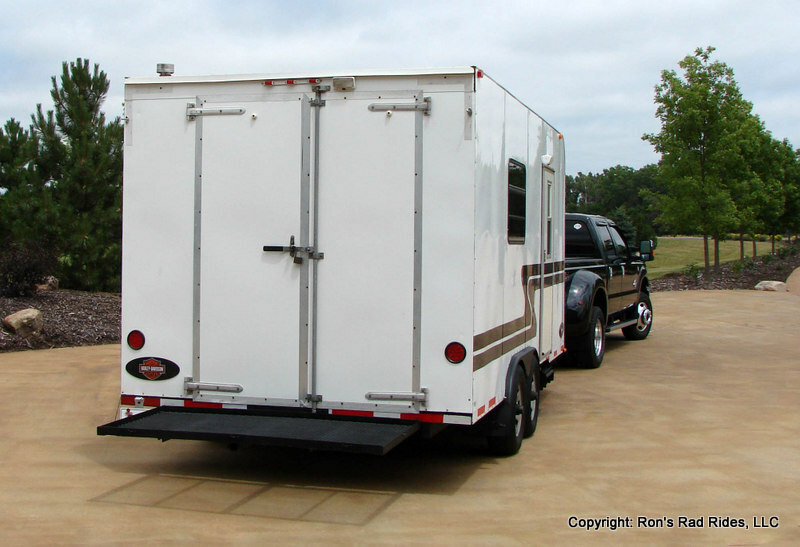 This Circuit is served by a 110 External Access Plug on the front right side of the Trailer. 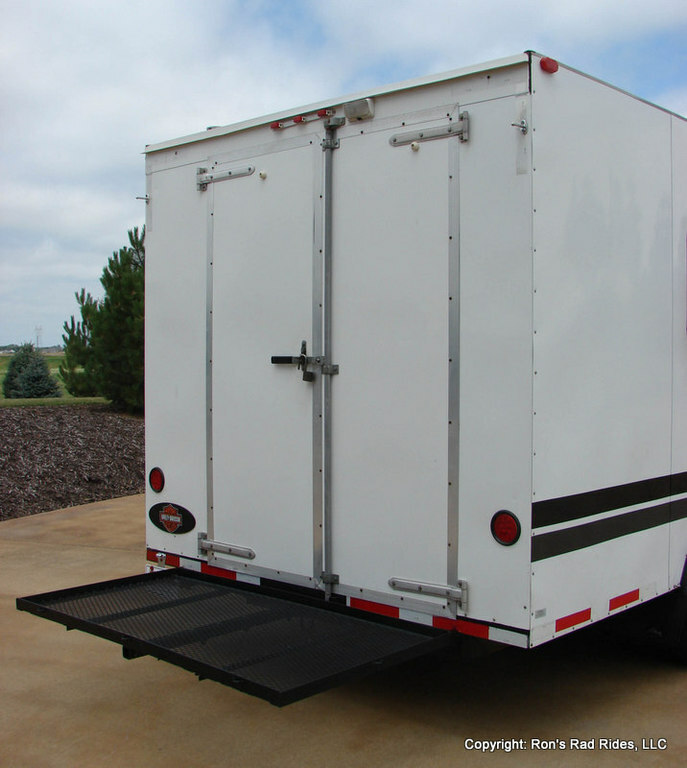 It also has a 12 Volt DC Circuit that serves (3) Two Stage Internal Roof Lights, and (1) Single Stage Light above the Propane Burners, as well as an External Entry Light over the Steps, and an External Loading Light over the Rear Doors. 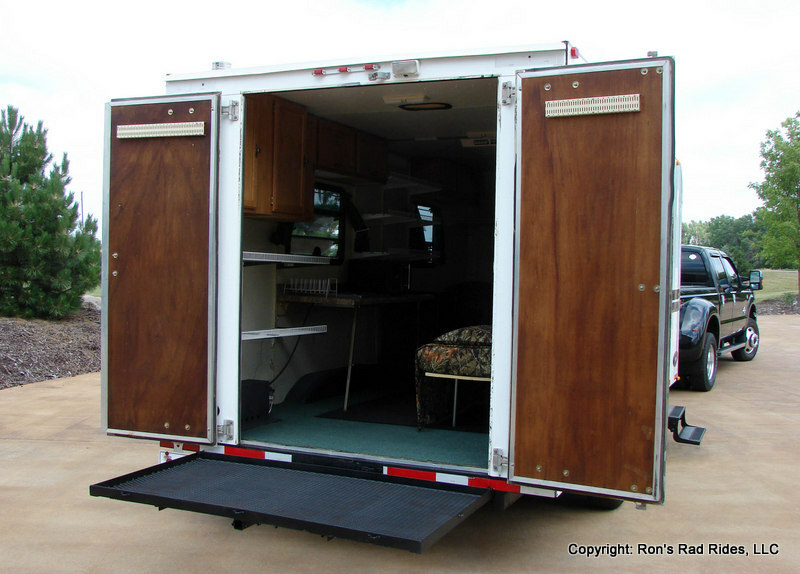 There are RV Style Batteries at about dead center inside the Trailer in a recessed area with a cover that allows you to walk and/or load over them. 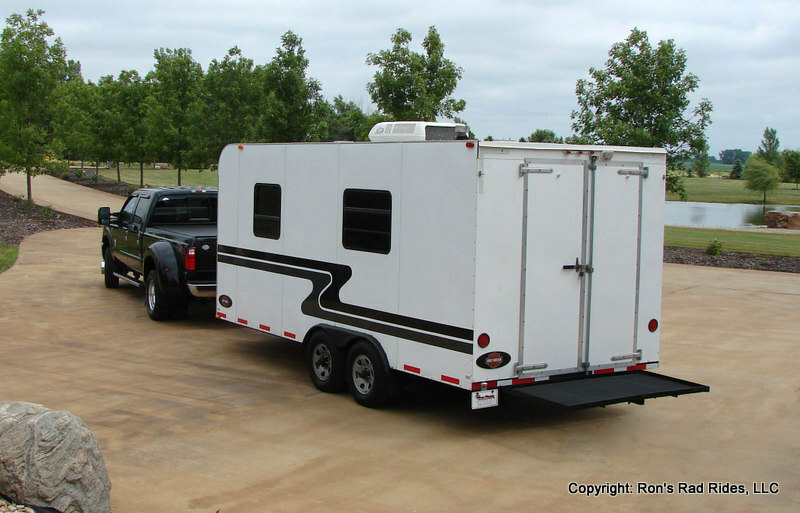 They are constantly being charged anytime the Trailer is hooked up to your Tow Vehicle. 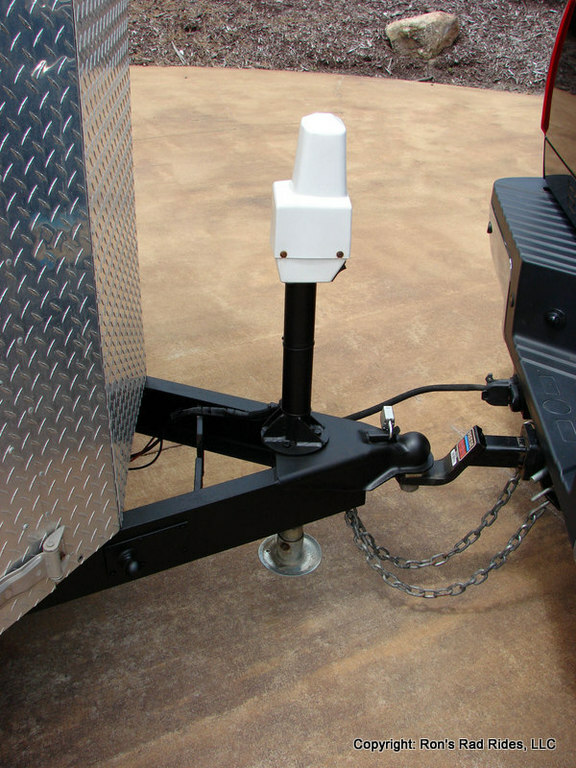 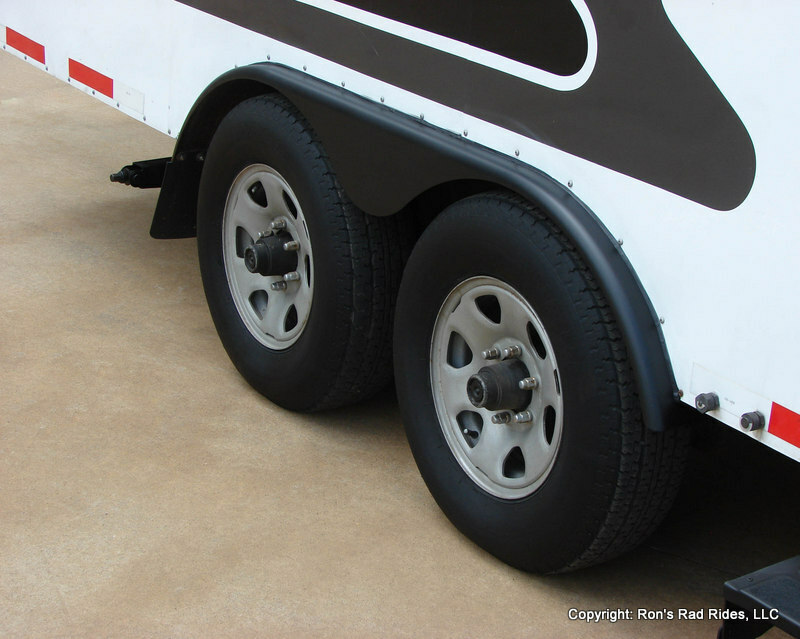 There is also an external Charging Port for the Batteries located under the Hitch, should you decide to charge the Batteries without having the Trailer hooked up to your Tow Vehicle. 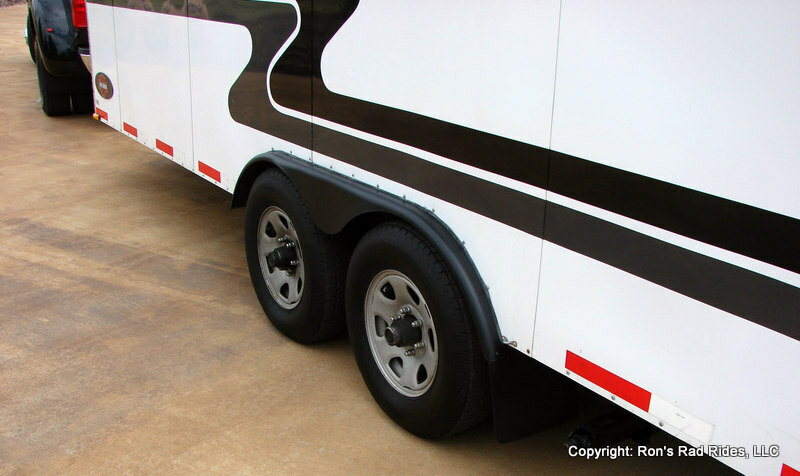 It has a Spare Tire & Wheel mounted under the Frame of the Trailer. 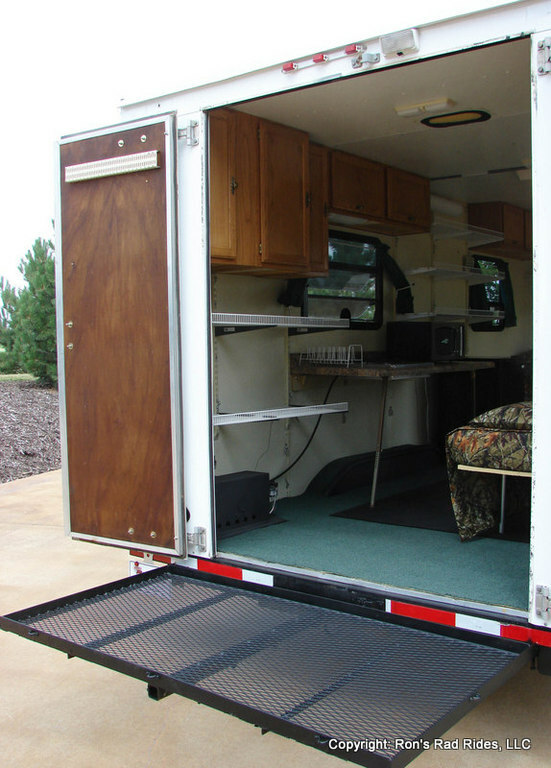 Finally, it has Leveling Jacks, a LED Brake / Turn / Stop Light Combination, and multiple Clearance Lights. 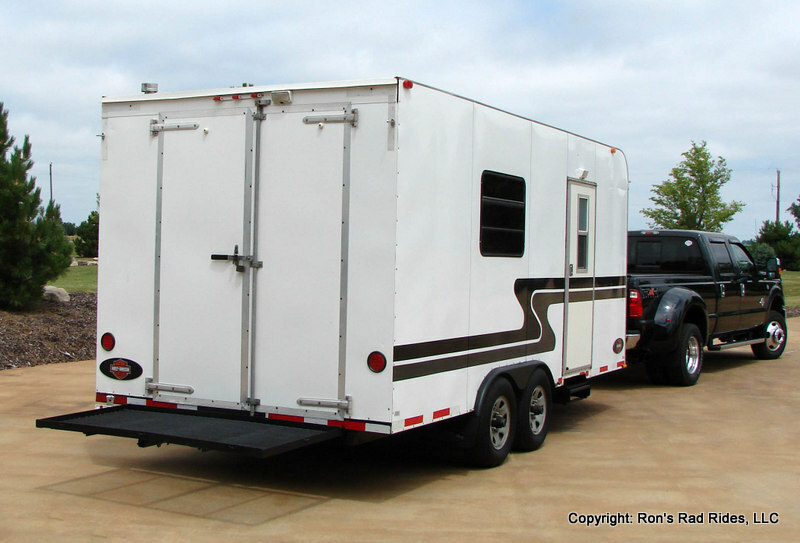 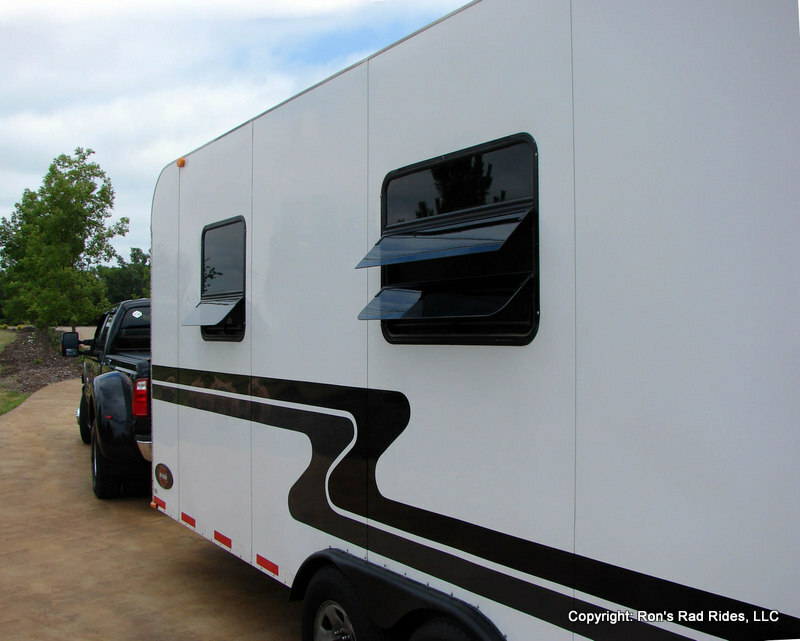 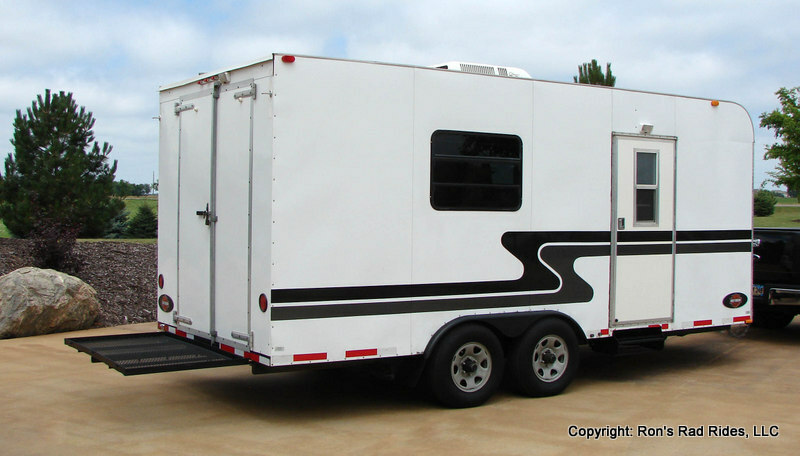 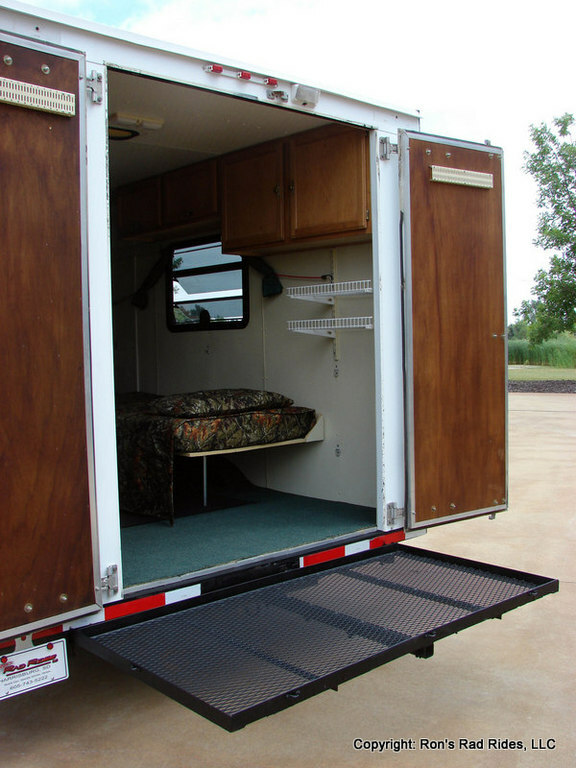 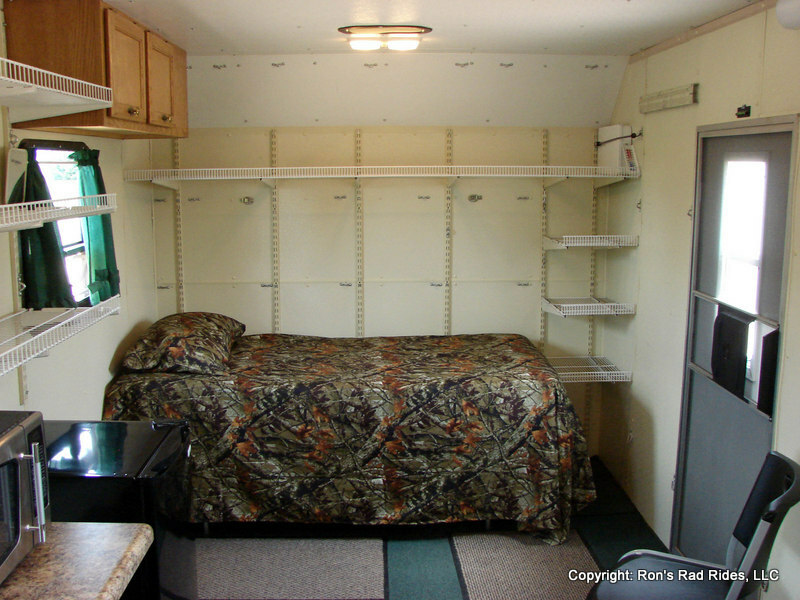 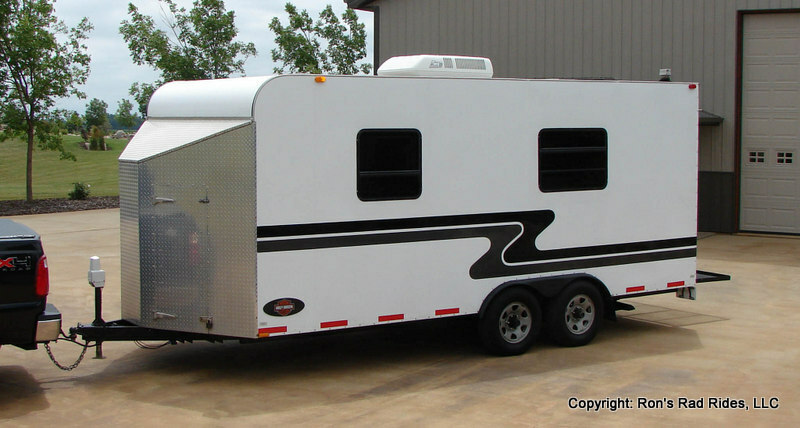 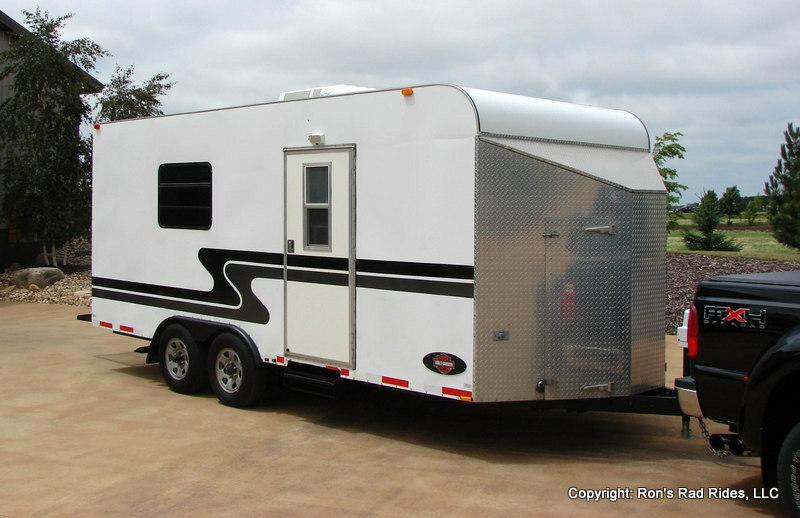 There was a Total Investment of about $18,000 in this Trailer when it was originally built, and it is still in VERY GOOD condition!